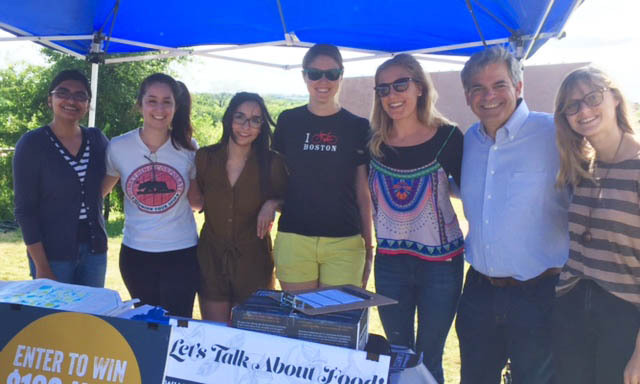 Student researchers from the LBJ School, under the leadership of Professors Raj Patel and Erin Lentz, released a report this past week on food related issues in the Austin community in collaboration with the city's Office of Sustainability. Students found that 25 percent of Austin households were food insecure, a number greater than the national average of 15.8 percent. A key component of the report included feedback from Austin residents on ways to combat hunger, resulting in policy recommendations to the City. "This is particularly powerful since the research involved asking those directly affected by poverty, and lack of access to food, for their direct input on what they needed," Dean Angela Evans said. "This is one example of the important work that the LBJ faculty and students undertake--work that not only informs the policy debate and but also offers insights on the implications of existing and emerging polices." For more on the project, please visit the Center for Health and Social Policy website. For more on food planning in Austin, view the City's Sustainable Austin blog on the report findings.